Aunt Em’s Gourmet Popcorn specializes in developing and making store brand products at competitive prices for nationally known retailers. We make those popcorn products in an annually audited SQF certified facility with full lot tracking and inventory control to insure everything is made with fresh ingredients and are up to nationally recognized standards. 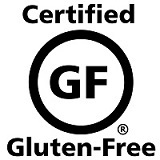 Besides being SQF certified, Aunt Em’s products are made in a nut free facility and are also certified Gluten free because Aunt Em’s recognizes our customers concerns over allergens in food. Aunt Em’s can also offer organic and GMO free products to suite our customer’s needs. Aunt Em’s is conveniently located in central Illinois next to Interstate 74 between Peoria and Bloomington. Our standard quotes are offered as FOB from our location to keep minimum order quantities and prices low. Aunt Em’s is setup for EDI order entry and typically makes products to order on a standard 21 calendar day lead time. Our standard terms are Net 30 with discounts available for early payment.